Step aside, hops. 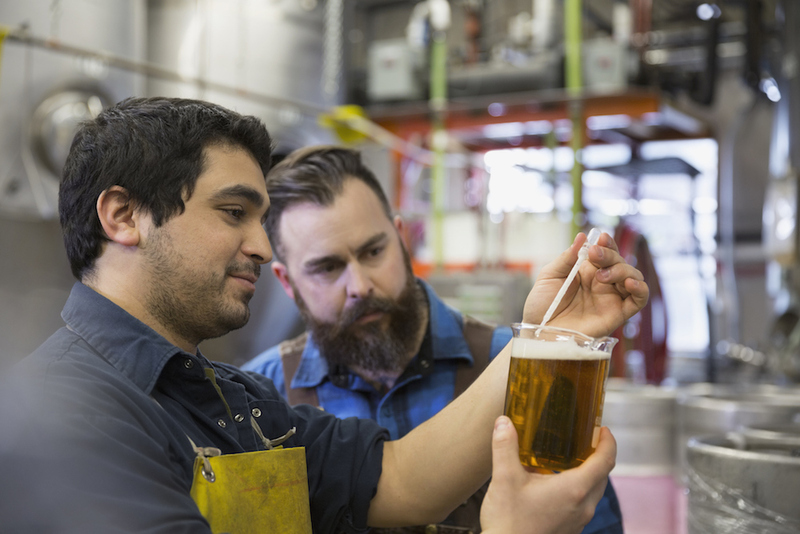 The next focus of craft brewers just might be wild yeast. On the outskirts of San Carlos de Bariloche, a mountain-rimmed tourist town in northwest Patagonia, Diego Libkind stands proudly in front of some concrete pillars and an overflowing green dumpster. Libkind is a microbiologist and yeast researcher affiliated with Argentina’s National Scientific and Technical Research Council. While the building site at his back is still in its nascent stages, a nearby billboard rendering reveals the 7,500-square-foot research laboratory that will soon take shape. It's a brewing facility slated to open in late 2019, and it's going to make waves in the beer industry. Beside Libkind stands Willem van Waesberghe, master brewer at Heineken. Van Waesberghe was one of the first people to recognize the promise in Libkind’s yeast research, and Heineken has helped fund the building of the upcoming lab, which will be called (an acronym for, roughly translated, the Reference Center in Yeasts and Brewing Technology). The foundation is completed, and they're erecting the structure's metal frame. To understand the significance of Libkind’s lab—and why a company with Heineken’s clout would be willing to help back its construction—a quick beer-chemistry lesson is in order. Every beer is built on a foundation of just four ingredients: water, hops, starch (usually barley or some other type of grain), and yeast. And of those four ingredients, yeast is the constitutional component. Yeast is what determines whether a beer is an ale or a lager, which are the two umbrella categories under which all styles of beer fall. Yeast also imparts flavor and aroma to a beer. The vast majority of beer made in the world () is cold-fermented lager, which is made with a hybrid yeast descended from two parent species. One of those parent species is a close genetic relative of the yeast used to make ale (as well as leavened bread and wine). But the other parent species was, until very recently, a mystery; yeast experts knew what its DNA looked like, but they had never been able to find it in nature. Libkind changed that when he discovered the yeast in the forests of Patagonia—a finding he and colleagues made public in appearing in the prestigious Proceedings of the National Academy of Sciences (PNAS). “That first paper—that was when this whole yeast species was discovered,” says Chris Todd Hittinger, an associate professor of genetics at the University of Wisconsin and one of Libkind’s coauthors on the PNAS study. Hittinger performed the genomic sequencing that proved the species Libkind had found was, in fact, the long-lost lager yeast. Since Libkind’s discovery, the species he and Hittinger documented has turned up in the wild in several other locations—including in North Carolina and Tibet. But Heineken, working with Libkind, was the first to use this “wild” lager yeast to make beer—a process that took years of development. The result, , is currently available in New York and other select markets worldwide. A new yeast could turn out a brew that combines the crispness of lagers with the biting and bitter characteristics of ales, for example. Or, craft brewers could use new yeast strains to concoct limited-release iterations of their best-selling beers, subtly (or dramatically) changing the brew's character with the yeast, as opposed to the commonplace method of changing up the fruit or hop characteristics of a well-loved beer. Heineken's H41 Wild Lager, for example, has a spicy, almost amber-like quality wholly different from traditional Heineken. Time will tell, but in the not-too-distant future, your favorite new beer may owe its unique taste or aroma to a strain of yeast developed all the way in Patagonia.